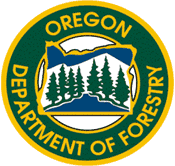 It is easy for any group or agency such as a local Tree Farm or other woodland owner organization, state Forestry Department, and Cooperative Extension Program to sponsor or facilitate TIES TO THE LAND workshops locally. The Workshop DVD is a ready to use package with complete workshop content and supporting materials for facilitators. Hosting a TIES TO THE LAND workshop is less complicated than hosting a live speaker - the DVD is always available when you need it to be. You will find most of what you need to organize, advertise and facilitate a TIES TO THE LAND program on the Workshop DVD, and we will post additional materials as things develop. Watch the Collaboration page for more information. The cost of the DVD (including one copy of the workbook for the facilitator) is $175. Workbooks are $25 each. Both can be purchased online. Is This Program Relevant to Your Area? TIES TO THE LAND is a project funded and developed in Oregon, but we designed our curriculum with the intent that it be broadly relevant. Yes, tax laws and other rules and regulations are specific to a place, but family dynamics are universal. Whenever possible we avoided referencing frequently changing or locally specific regulations and focused instead on the critical issue of communication. Workshop participants and workbook users in Oregon and elsewhere must turn to additional resources for locally relevant tax and regulatory issues. We hope these materials are useful. Please contact us if you have questions about bringing TIES TO THE LAND to your area.